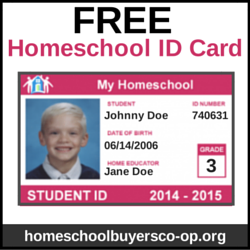 Why Read 1000 Books Before Kindergarten? When you consider the number 1000, it sounds like a lot. To read that many books with your zero to five year old child seems outrageous. Why a challenge to read 1000 books before kindergarten? Reading 1000 books before kindergarten helps kids get an important foundation in literacy that will impact them for their whole lives. Mem Fox shared stories of parents reading prolifically with infants and toddlers and watching them learn to read at early ages. I don’t think every child is going to be able to do so. But I will say that I undertook the 1000 Books Before Kindergarten Challenge with both my son and my first daughter, beginning to track the books at age 2. Both were reading to some extent before kindergarten (when I’d finished reading the 1000 books). My daughter, with whom I’ve just barely finished keeping track of 1000 books, honestly started reading Consonant-vowel-consonant words about two months ago. She starts kindergarten this month. Here are essential literacy concepts that children (even very young toddlers) learn when you read aloud to them regularly. The nonfiction book Thirty Million Words by Dana Suskind explores a literacy project which aims for increasing children’s exposure to literacy from day one. In their studies, the author’s team came to the conclusion that children should hear (be exposed to) 30,000,000 words before their third birthday (see my thoughts and review). One fact from this book that stood out to me is that it is not preschool or early intervention programs that made a difference for later-in-life learning difficulties: rather, the change comes when kids were exposed before the age of three! The ABCs of Literacy by experienced elementary educator Cynthia Dollins likewise expounds on the benefits of reading aloud (see my review) . As an educator, it was clear to her which students received experience in reading at home, and which did not. Clearly, reading aloud to our kids make a difference. Mem Fox in Reading Magic and Jason Boog in Born Reading (see my review) both share a number of tips learning to read aloud and having fun doing so. For examples, Mem Fox mentions seven points to consider: high voice, low voice, fast voice, slow voice, loud and soft, and pause. Listen to her demonstrate or read the newest chapter in Reading Magic for more details! As a compulsive reader myself, I must admit that I love to read books in funny voices. Reading aloud is a delight for me! And, for those of us in the digital age, you must take a look at Born Reading, which addresses the advent of the digital age. Jason understands that we can’t avoid technology. He shares ideas of how we, as parents, can encourage literacy even while still using our digital devices. Reading aloud does not have to be a “bedtime only” ritual, y’all! If you are hesitant or inexperienced at reading aloud, you could even approach it with your children together by reading a great kids’ book. 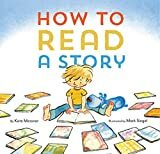 How to Read a Story by Kate Messner is a tongue-and-check rule book for reading aloud. In it, a child want to read a story. She must find a story, a reading buddy, a nice place to sit, and so forth. Then she proceeds to read the book, but she is following the steps Mem Fox and the other authors have outlined: finding context clues, reading fluently, with voices and interest, and appreciating the beginning, the middle, and the end of the book. Although How to Read a Story is geared for kids, it can give you the confidence you need to more frequently read to your own children! So what are you waiting for? Are you ready to get reading? Pick a book and a pick up your kid and read to them! Here is a round up of the books that I’ve mentioned in this post!